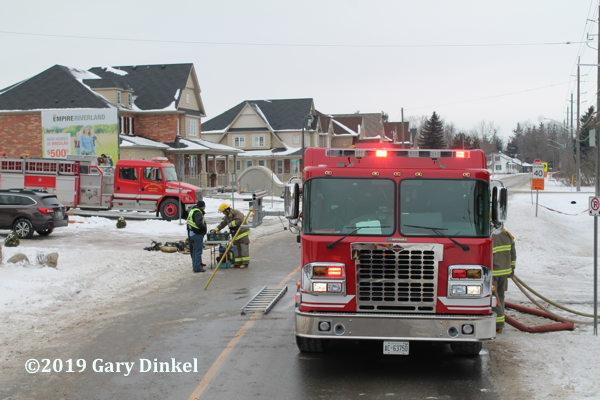 Kitchener (ON) fire dispatch toned out Breslau, Maryhill, and Conestogo fire departments for a structure fire at 201 Woolwich Street South in Breslau, January 22 at 12:16. Dispatch reported two people possibly in the house. 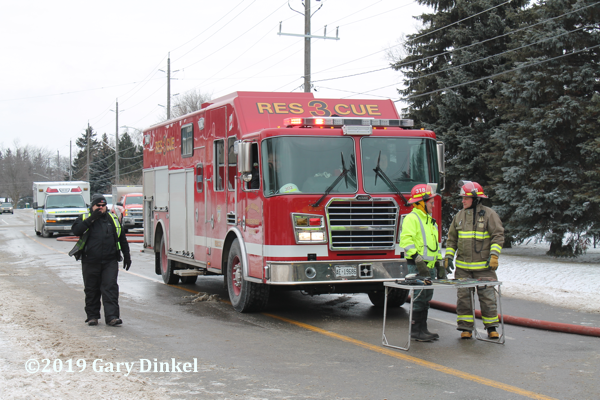 A Breslau captain was near the house and helped get the two residents from the structure. He reported a working fire, with flames showing around a chimney on the E2 side of the house. 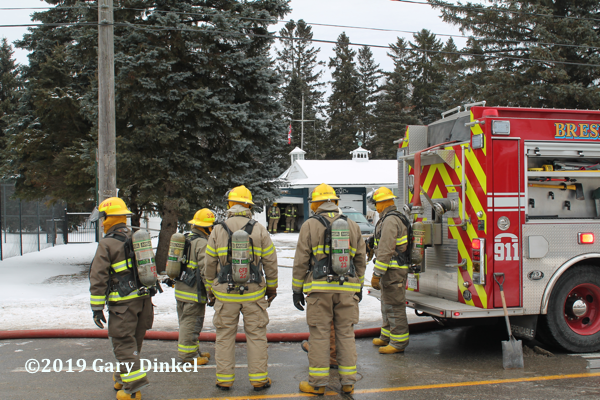 Breslau’s pumper arrived and picked up a hydrant. Crews performed a 360 and primary search of building while others pulled lines. Firefighters tried to enter the building that was on fire via the garage, but there was no access. They knocked the fire down from the exterior before finding access to the interior. The fire was contained quickly, with minor extension to the interior. Two ambulances were requested as a precaution to check out the residents. The male was transported to hospital. The Ontario Fire Marshall was called to investigate the fire. Box 690 provided rehab. I arrived just ahead of the Breslau pumper. It was a very cold day, so video has some movement in it from moving out of way of firefighters and having very cold hands.